The film, “Boys of Bonneville” has been discussed here before, but not nearly to the extent that Jesse of www.justacarguy.com has done. His review caught my eye when I noticed a couple of my photos in his post. It’s a great review of the film and discussion of Ab Jenkins and the Meteors. Nice work, Jesse, and thanks for the shout-out to this site! 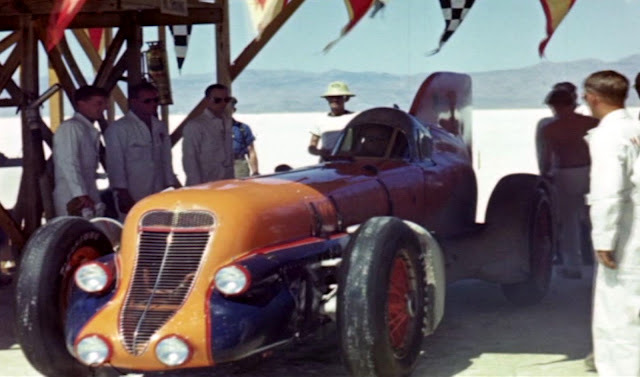 This entry was posted in 1930s, Race cars, Sweet videos and tagged Ab Jenkins, Boys of Bonneville, just a car guy. Bookmark the permalink.